This Utica National Health Insurance Company of Texas Review will discuss the Utica National Insurance Group, which has offices throughout the country. It sells a variety of insurance products for both individuals and businesses, as well a number of specialty insurance products. Although health insurance is not one of the policies they sell, you can conveniently search for health insurance right now. To look for health insurance just enter your zip code now in the space provided and you will be able to compare health insurance quotes for a number of companies. Other vehicles that Utica National Insurance provides insurance for are snowmobiles, motorcycles, and boats. Utica National Insurance offers homeowners insurance, which includes liability and property protection. If you own a condominium or rent, Utica can help with the coverage you need as well. If you would like extra protection against losses once the limits or your homeowners or automobile policies are met, you should consider a personal umbrella policy. An umbrella policy starts once the upper limits of your other liability policies have been reached, and it protects you for personal liability for amounts up to $2 million. If you have a lot of assets and/or a family, having a personal umbrella policy will bring you peace of mind and help complete you portfolio in regards to insurance. Another insurance product from Utica National is identity theft. This coverage helps you not only financially, but also emotionally and time-wise in the event you have your identity stolen. To see how Utica National stacks up in regards to financial stability, go to http://www.ambest.com. To find out more about what type of coverage you need in your business, speak with an agent from Utica National. There are two programs available, one for agencies who sell mostly accident, life, financial, and/or health products, and one for agencies that sell mostly property and casualty products. 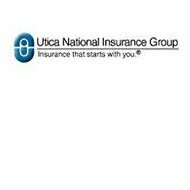 Utica National Insurance Group also offers excess and surplus lines to Utica Mutual agents who are licensed. Utica National uses UNI- Service Excess Facilities for all of your excess and surplus needs. UNI has over 30 years of experience with excess and surplus specialty lines and has access to the leading markets. Experienced underwriters will deal with your directly so that you get the coverage you need to be able to write business. If you own a business, Utica National Insurance Group offers workers compensation insurance. Uti-Care is the name of the program and it helps you control costs while you manage your cases of workers compensation. The programs included in Uti-Care are cost containment programs and medical case management programs. More information about these programs can be found on the website for Utica National. To compare health insurance rates right now just fill in your zip code on this page.